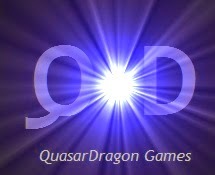 QuasarDragon: The E-Books are Coming. The E-Books are Coming. The E-Books are Coming. The E-Books are Coming. 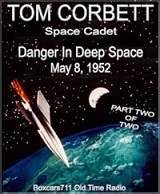 At Boxcars711: Tom Corbett Space Cadet - "Danger In Deep Space." Part 1 of 2 and Part 2 of 2. At OTR Plot Spot! : "War Game" - Exploring Tomorrow. Science Fiction. 1958. "It Happened on Sunday" - The Hermit's Cave. Horror. 193x. and "Hunter's Moon" - Piccadilly Radio. Science Fiction. At Relic Radio: "The Paxton’s House" Beyond Midnight. Horror. 1968. Shadows Walking by Robert John Burke. Fantasy. Dreamer by J.L. Durfey. Paranormal Romance. Zombie! Zombie! Brain Bang! by D.F. Noble. Daymare by Gordon Bentley-Mix. Science Fiction. Sun Kissed by Skyla Madi. YA Vampires. Finding Justice by J. O. Osbourne. YA Ghosts. All Those Who Wander by S.E. Campbell Yu. YA Ghosts. Call of the Vampire by Gayla Twist. Vampire Romance. Past Due (Past Series, Book 1) by Catherine Winchester. Paranormal. Tripartite by Andy Spellore. Fantasy. The Reluctant Beacon (The Turlan Tales - Book 1) by David Jacobs. YA Fantasy. Ambrosia The Dawn of A New Age by Kristen Howe. Fantasy. Seven Sisters Moon (Tuatha) by D. VonThaer. Fantasy. Hurricane Dan by Bret Wellman. Zombies. Randolph W. Owens, Private Investigator (second edit) by David Blankenship. Science Fiction. Arrival (Education Of A Fae) by Isabella Silverwood. Paranormal. Heart of the Ninja - Water (Shadow Legacy) by T.J. Perkins. Fantasy.